The turn of a new year is a peculiar time. Here at LYONSCG, we remember the whirlwind that was 2016, while simultaneously peering into the future, trying to catch a glimpse of what 2017 might bring. It is a moment to gather prior experience, leverage expertise, and drive valuable insight to make 2017 the best year yet. For retailers, 2016 certainly was an interesting year. Technology such as virtual reality and AI quickly found a home in retail, while political and economic uncertainty cast a fog on the future of international commerce. Mobile has officially gone from a value-added experience to a critical component of any retail business, and the channels through which consumers interact continue to blend and morph. Looking back on this past year, eCommerce executives have reason to smile. Surpassing the 8% benchmark, the digital share of US retail sales came in at $398 billion, with home goods and apparel leading the charge. Globally, eCommerce will represent about $2 trillion, up 8.7% since 2015. With more people and brands connected across an ever-increasing number of channels, more shoppers are spending more time and money online. Now that the dust has settled from the hectic 2016 holiday eCommerce season, the LYONSCG Digital Marketing team has been hard at work crunching numbers and defining trends. The $1 billion sales mark was reached on 57 of these 61 days, with desktop users alone hitting this figure 30 times. The raw numbers by themselves are impressive, highlighting exactly why the holiday period is so critical for retailers. What drives eCommerce insight, though, is the ability to read between the numbers and understand the fundamental shifts occurring in the digital marketplace. The LYONSCG Digital Marketing and Strategy group has noticed the following trends, and will definitely keep an eye on them heading into 2017. We’ve all seen news clips of frenzied shoppers flooding into malls and stores bright and early on Black Friday. Long lines, sidewalk campsites, and incredible in-store bargains traditionally signal the beginning of the Holiday shopping season. With the emergence of online shopping, Black Friday remained a retail stalwart of sorts, driving foot traffic into brick-and-mortar stores for a day full of sales, bargains, and revenue. One of the most interesting trends highlighted in 2016, though, was a shift in Black Friday traffic. Sales in 2016 were record setting – Black Friday is still the same sacred retail holiday it always has been – but more and more of Black Friday shopping is being done online. 2016 heralded the first $3 billion digital Black Friday in history, with strong growth in evening hours. It seems that more and more consumers are staying in bed come store opening on BF, and accessing deals from their devices rather that with their feet. Cyber Monday has long reigned supreme when it comes to holiday eCommerce traffic. This year was no different – a record $3.45 billion in sales was recorded – but digital sales were not as tightly condensed into this 24-hour period as in years past. As mentioned earlier, the move from physical to digital shopping on Black Friday almost toppled Cyber Monday from its perch atop the eCommerce world. Combined with the fact that the weekend between Black Friday and Cyber Monday saw a huge uptick in sales, these specific days have begun to blend together into a Cyber Weekend. When shopping online, consumers aren’t restricted by store hours, making products and deals much more accessible and simple to engage with. Moving forward, we see these calendar-specific shopping “holidays” continue to bleed into each other. Coordinating an omni-channel shopping experience is critical to retailers. As the interplay between consumer channels continues to grow and merge, so too will promotions and their timeframes. For years, there was a strong drive to finish your holiday shopping as early as possible. With the once-a-year in-store promotions around Black Friday, consumers would try and complete as much of their shopping as possible as early as possible. 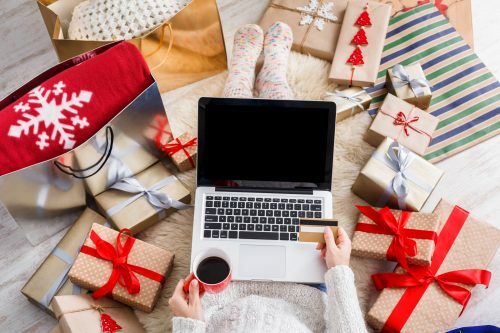 With the promulgation of Cyber Monday and a host of similar deals available online after Black Friday and Cyber Monday, we have seen the Holiday shopping experience push further into December than ever before. According to the National Retail Federation, only 9% of consumers had finished their holiday shopping by Cyber Monday in 2016. With such a sizeable share of consumers waiting to finish their shopping, successful retailers leveraged different promotions throughout the season, keeping consumers engaged well past traditional deadlines, and driving robust sales well after the peaks of Black Friday and Cyber Monday. 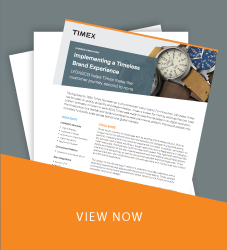 This trend further reinforces the shift to an omni-channel experience, where purchasing decisions are based around value, research, and promotions, instead of store hours and accessibility. Retailers would be wise to continually engage with consumers post-Cyber Monday, driving digital sales throughout the holiday season and not just on Cyber Monday. It is no longer a surprise that mobile devices have changed our lives and society. Used for just about everything, mobile utility played an increasingly critical eCommerce role this holiday season, and will continue to into 2017 and beyond. Mobile sales cleared the $1 billion hurdle on Cyber Monday this year, showing an increase of 33% compared to 2015. A trend we’ve seen for a few years now, mobile devices drove the majority of digital retail traffic in 2016, and progressively chipped into the desktop share of sales. While 31% of sales were made from mobile devices during the 2016 holiday season, this number is up almost 10% from 2015 (28%). These numbers provide further evidence that mobile is increasingly growing its spending share and influence relative to traditional brick-and-mortar stores. With retailers rolling out their plans for 2017, it is critical to look back and take stock of what occurred in eCommerce in 2016. These insights around the length of the holiday shopping season, peak shopping periods, and consumer channels should inform and enable eCommerce strategies into 2017 and beyond. Christian Blaum is the Content Marketing Strategist here at LYONSCG’s Chicago office. When he is not busy writing about eCommerce strategy, you can find him playing hockey, strumming his guitars, or caring way too much about Notre Dame football.